Curcuma is in the ginger family and is native to tropical regions in Asia. The most commercially significant species of curcuma, Curcuma longa, is the plant from which we get turmeric, the ingredient that gives yellow mustard its color. Sometimes called hidden ginger, many curcuma flowers are hidden within the foliage, at the base of the plant. Those that do rise above the leaves resemble ginger flowers in shape, size and fragrance. Curcuma is a low-maintenance plant that is hardy to USDA Zones 7b to 10b. 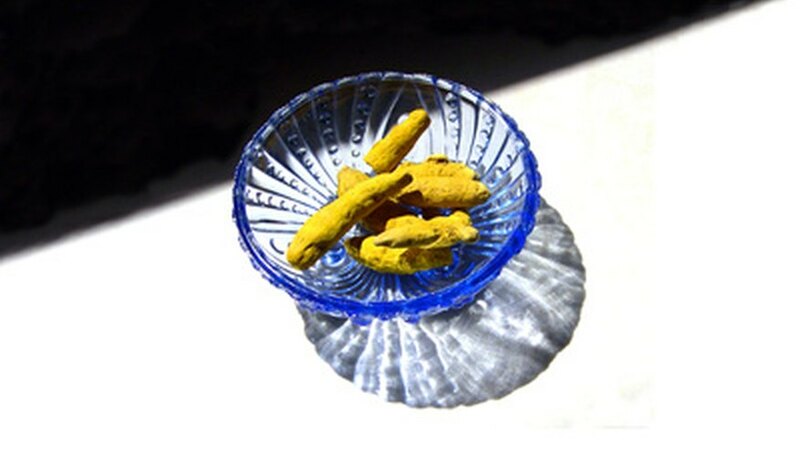 Grow your curcuma in full sun in the morning and afternoon shade. Allow the leaves of the plant to let you know if it needs more or less sun. They should be a deep green color, so if they begin to lighten, experiment with different levels of sunlight. Water the curcuma to keep the soil moist. In particularly hot periods you may need to water daily. Fertilize in the spring at the first sign of new growth and then once a week in the summer. Use a 15-15-15 formula fertilizer at the rate suggested on the package. Cut the leaves from the curcuma when it goes into dormancy as winter approaches. The leaves will first turn yellow and then brown. When they become papery and appear dead, cut the foliage and any flower stalks to the ground. Cover the soil with a 6-inch pile of mulch. The rhizomes must remain as dry as possible during dormancy.